I found this wonderfull images in Beyond the Pacific Ocean. 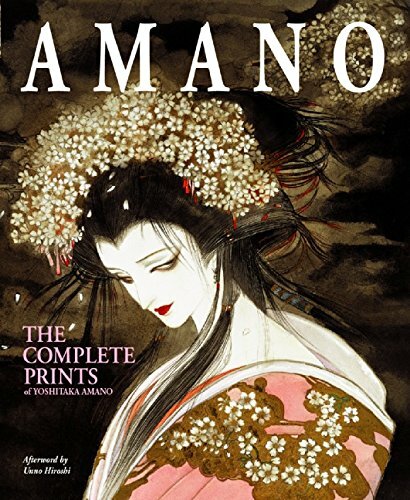 have a excelent gallery of Amano art. 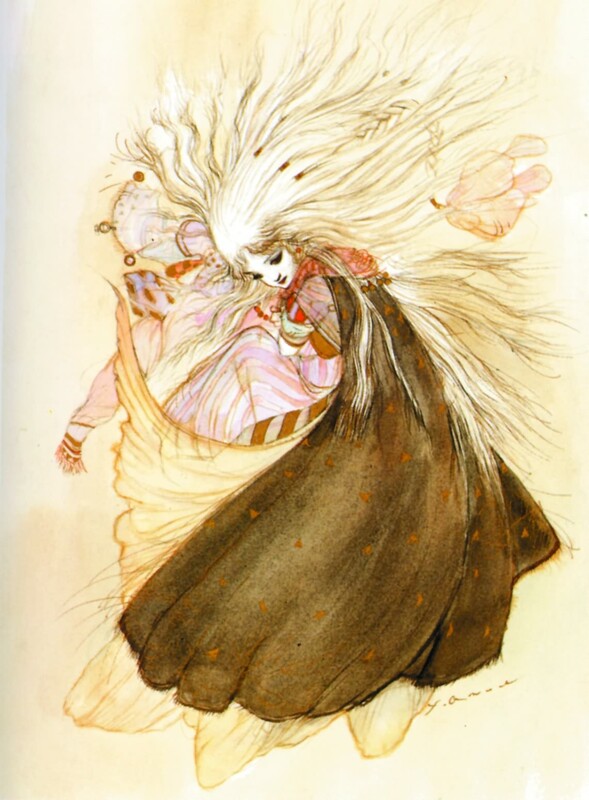 I believe this art is from the called book Amano: The Complete Prints of Yoshitaka Amano Paperback: 292 pages; Publisher by Collins Design (November 1, 2003); Language: English; ISBN: 0060567635; Product Dimensions: 10.3 x 8.8 x 1.1 inches. this one is light colored..